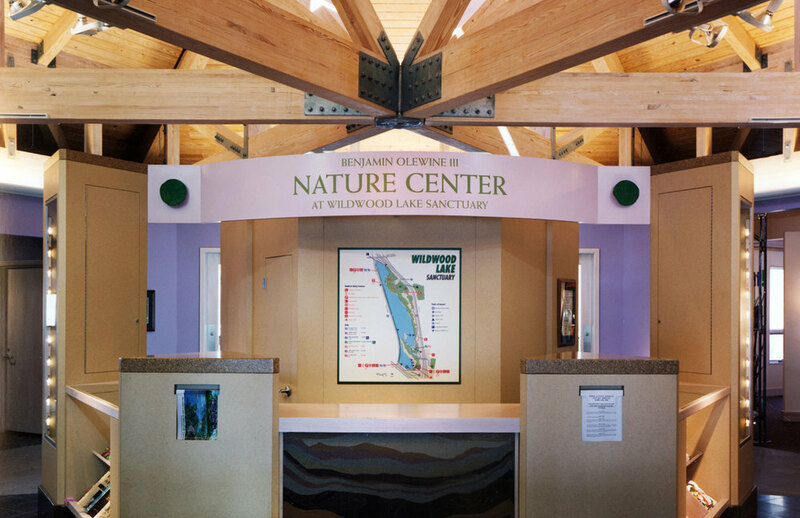 Winner of multiple awards, the 4,000 square foot Nature Center offers a family-oriented learning experience. 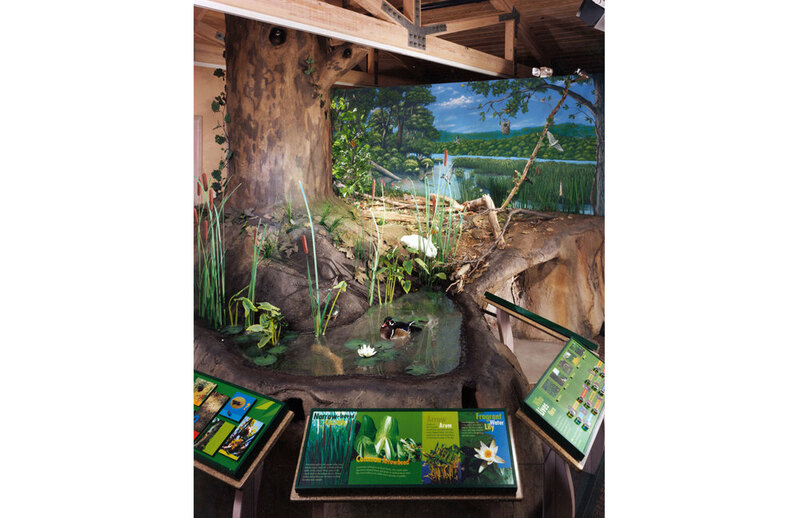 Exhibits make extensive use of “green” materials, organic shapes, footprints, and playful colors. They teach important ecological concepts through interaction and observation, promote curiosity, and encourage exploration of Wildwood Lake and its surroundings.